Being a telecom operator and providing a wide range of services you shall put a great value on customer service. 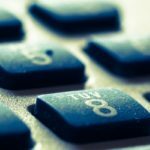 Considering the significant number of subscribers, it is expected that the value of interactions with your call centre is a challenge. For one of the provided services, our client, one of the biggest telecom and CATV services providers, was supposed to identify and implement a self-service solution aiming to boost the efficiency of the response and resolution times to about 80%. Deployment of customized call billing platform for one of the leading BPO companies from Romania. Platform manages 25 E1s and 500 extensions, handles different telephony rates of 5 providers and generates accurate data for invoicing customers. Solution easily integrates with the PBX, collects the exact data from CMS and transfers it to a redundant architecture buffering system from where it is processed. Implementation of >2000 recording ports for different environments such as call centers, BPOs, banks, insurance companies and public safety services, and security such as dispatches and special services. Solutions provide recording, playback and archiving and supports all types of telephone lines (analog, system lines, ISDN PRA and VoIP) and radio communications, including TETRA. Platforms were integrated with major telephony hardware providers such as Avaya, Alcatel-Lucent, Siemens, Nortel, Ericsson, Cisco etc. Implementation of customized call center platform with both inbound and outbound capabilities, integrated with Siemens HiPath telephony platform (CTI) and Microsoft Dynamics CRM. For inbound calls, platform was providing complex IVR features. The functionality was also available for automatic outbound calls (dialing). All calls were recorded. Platform is used for different customer service purposes such as internal CS, BPO and telesales. Implementation of customized telephony application that consist of an IVR platform integrated with voice mail and recording applications. IVR platform handles 120 simultaneous calls while the voice mail application runs on one E1 (30 simultaneous calls).